Work has begun on the Nuclear AMRC’s 8000 sq m facility on the Advanced Manufacturing Park in South Yorkshire, with Leeds-based BAM Construction as lead contractor. The landmark building secured planning permission in June. Permission has since been secured for a 850kW wind turbine which will help power the building, and for the AMRC Knowledge Transfer Centre on the adjoining site. When completed in late 2011, the Nuclear AMRC building will offer some 5200 sq m of workshop space, equipped to meet the R&D needs of the civil nuclear manufacturing supply chain, as well as laboratory, meeting and exhibition space. Work is also progressing on the expanded laboratories at the Dalton Nuclear Institute in Manchester, which will offer manufacturing, testing and analytical facilities to complement the Yorkshire centre. The refitting of the Royce Laboratory in the University of Manchester’s Sackville Street building is underway, and work has begun in the nearby Material Science building to house the Nuclear AMRC’s material examination equipment. 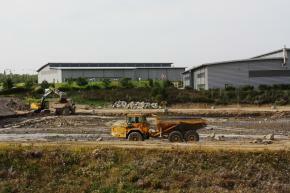 The Nuclear AMRC is taking shape in other ways. Contracts are in place to supply our first major pieces of research equipment, to be housed in our interim workshop on the Advanced Manufacturing Park. Initial research projects have begun using the existing facilities at the AMRC and Dalton Nuclear Institute. Nuclear AMRC managers are working with our partners to decide details of our quality and skills programmes. We are in advanced membership discussions with more companies along the supply chain. And we are continuing to recruit talented engineers, researchers and business support staff. Keep reading the newly expanded Nuclear AMRC website for the latest information. UK companies have already secured contracts worth over £50 million to supply EDF Energy’s proposed new generation of nuclear power stations. 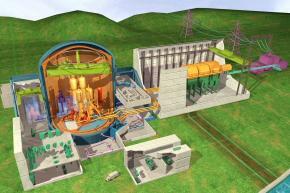 EDF has signed over 130 contracts with British companies or consortia with UK partners, to help build its proposed four EPR reactors (pictured). The programme is expected to lead to around 150 further major contracts worth many billions of pounds. de Rivaz was speaking at a one-day suppliers conference, hosted by EDF Energy in London. The event, held at the Queen Elizabeth II Conference Centre on 13 September, was attended by 650 delegates from some 400 companies. The event was also addressed by energy minister Charles Hendry and business secretary Vince Cable. 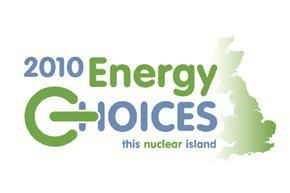 The Nuclear Industry Association presents its Energy Choices conference, widely recognised as one of the UK’s leading nuclear events. Speakers include energy secretary Chris Huhne; Kevin Allars of HSE’s nuclear directorate; Alan Raymant of Horizon Nuclear Power; Paul Howarth of the National Nuclear Laboratory; Norman Harrison of Babcock International; Jean Llewellyn of NSA Nuclear; Tony Fountain of NDA; Humphrey Cadoux-Hudson of EDF Energy; and Olivier Carret of GDF Suez. The event also features a major nuclear exhibition featuring stands from all the major players, industry announcements, and the release of the NIA’s latest public opinion poll.